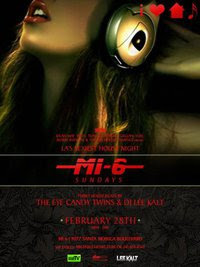 HOUSE MUSIC TV @ MI6 SUNDAY FEAT THE EC TWINS & LEE KALT! ANOTHER BIG NIGHT FOR LA HOUSE HEADS! HOUSE MUSIC TV hits Los Angeles on a warm up run for their Miami WMC parties! THE EC TWINS (UK) join LEE KALT (NYC) For a big night inside house musics most exclusive hang out. Arrive early!